Happy Tuesday!!! Which, by the way, only means one thing today at the Scrap Shack #TutorialTuesday. 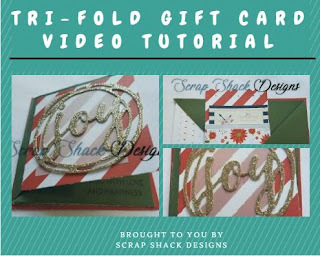 That's right, for today's post I have a video tutorial showing you how to make a wonderful and super fun gift card holder. 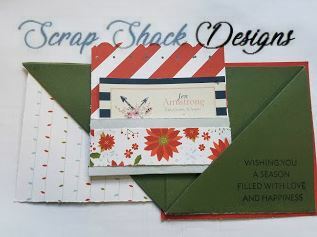 This card measures 4.25" square and opens up to reveal a little pocket which holds a gift card. 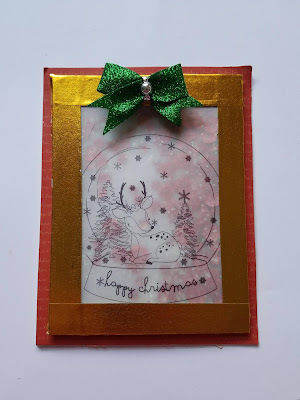 I used a mixture of the "Beary Christmas" paper line paired with the "Silver and Gold" Complements. 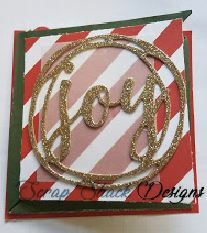 I just LOVE how the "Joy" sparkles on the front! Now before you watch the tutorial make sure to measure your gift card. The holder in the video measures 4"x 4" so if you gift card is larger than that you will have to adjust accordingly. Wasn't that great! It was like having 3 tutorials in one and you can absolutely mix and match everything you learned to make your own creations. Thanks for tuning in today. I hope you enjoyed. Today I wanted to create a card that celebrated the season but stayed away from all that red and green that we suddenly see everywhere! 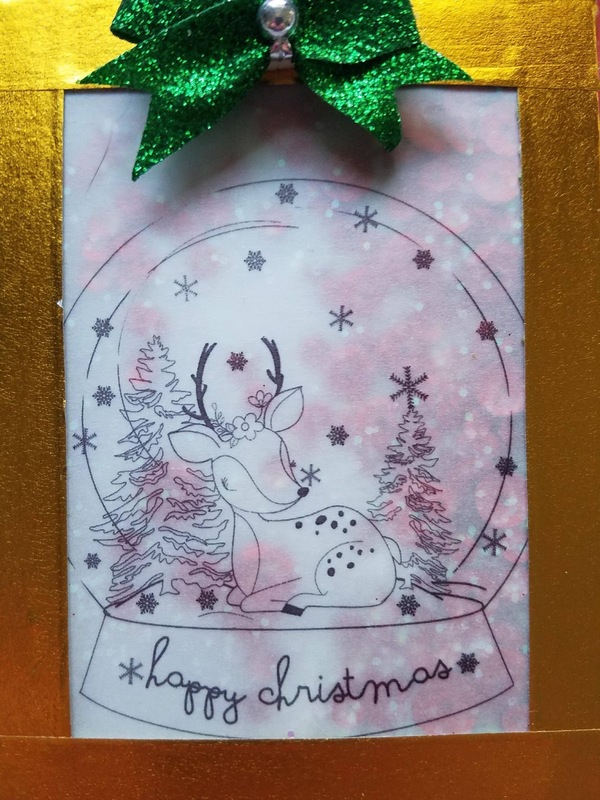 So I took a little less traditional approach and used a couple of stamps from our Just For Fun winter collection. 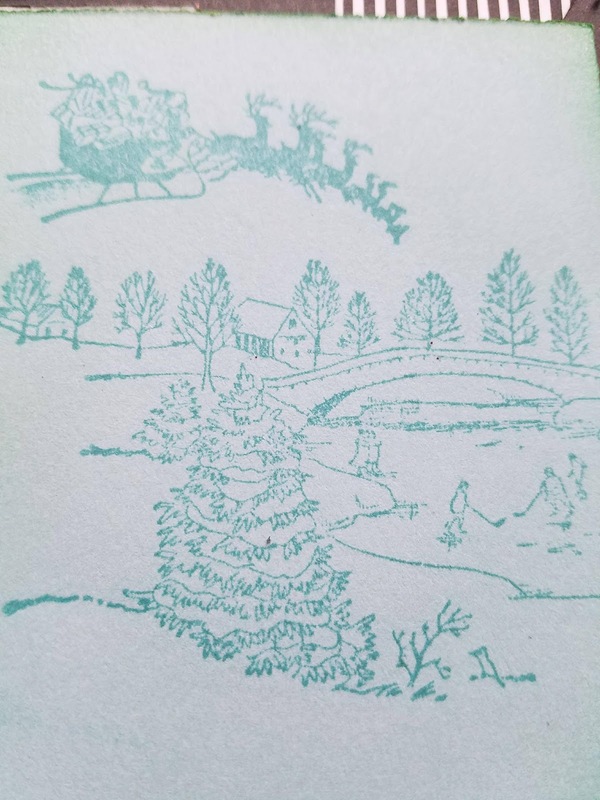 The main stamp that I used was that beautiful Ice Skaters stamp and since I was taking a less traditional approach I wanted the card to be subtle so I used some tone on tone colors. 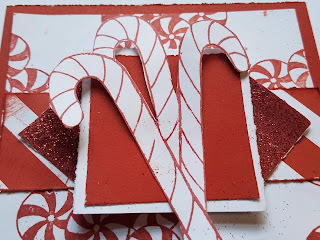 I used the lighter side of some glacier cardstock and stamped using that same color ink. Do you not just love that scene stamp!! The details are a lot of fun. 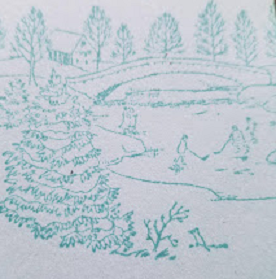 As you will see the stamp includes people playing hockey (my new favorite sport) as well as the water ripples and that house in the distance! It really captures the essence of the season. 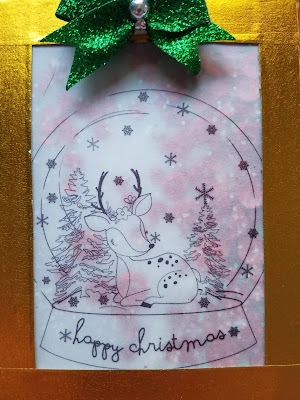 stamp along with On Dasher... which is another fabulous stamp. 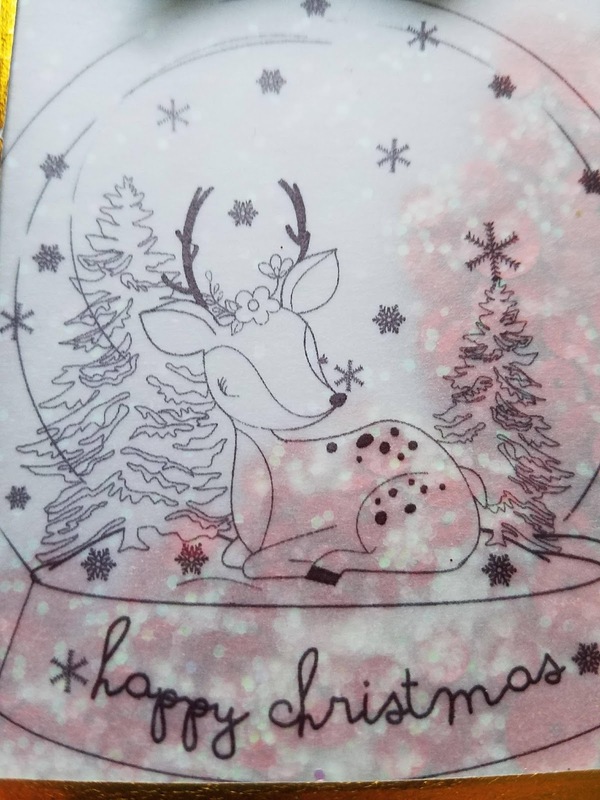 I tried to keep the classic feel of the stamp so I inked around all of my edges. 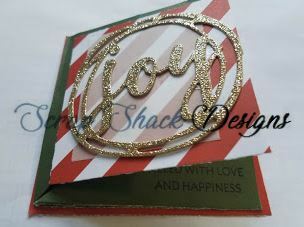 I also used the Silver and Gold paper line from CTMH. 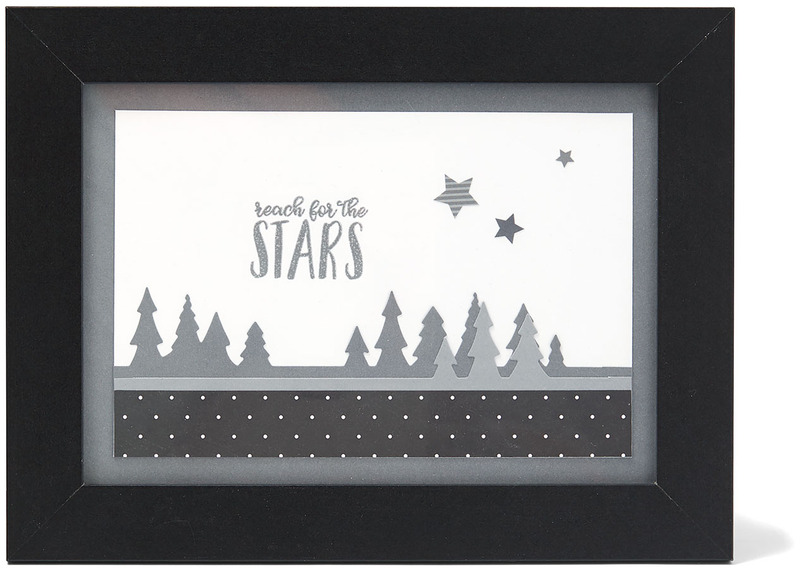 The photo above is a beautiful representation of artwork using not only our December Stamp of the Month but also our beautiful Basics Fundamental line. Don't you simply love that page layout? Well I know I do and I wanted to come on and show you guys how to re-create it without having to guess or figure anything out. This layout was made using the Dec. SOTM which is called "A Little Bit of Pun" and I know if you are anything like my husband then Puns are just your thing. 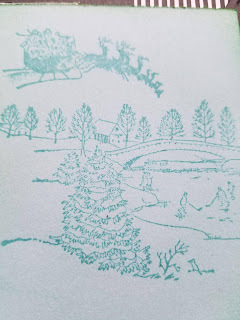 Along with that adorable stamp set the Basics Fundamental Paper was also used. Some more of the products are listed below. See you get the idea now. Recipes show you everything you need to recreate a project. 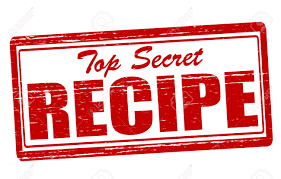 Close to my heart is such a wonderful company that they offer their consultants the recipes to every project in every idea book!! Awesome right?!! That's also one of the perks of knowing me, if you ever want a recipe just come on over and ask me for it and I will be more than happy to hook you up. So the next time that you are going through our idea book and you see a project you really love make sure to head on over to the Lounge and ask me for the recipe. Remember to have fun and get creative! 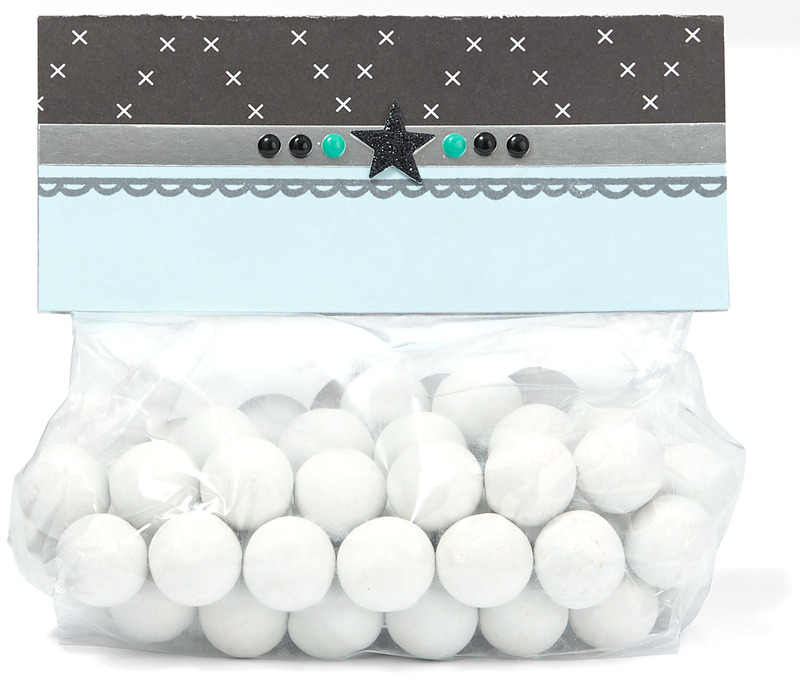 Thanks for joining me today as I present a brand new challenge over at Creative Knockouts. Our sponsor this week is All Dressed Up and we are featuring any project that is inspired by "Christmas Delight." All Dressed Up has some really great images, and host challenges themselves, so if you have not had the chance to check these guys out make sure to head on over and see their designs. 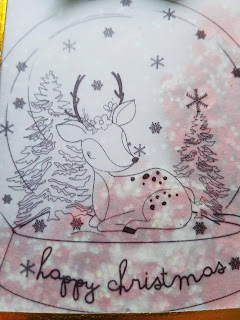 For today I decided to use the Christmas Snow Globe which is such a beautiful stamp. 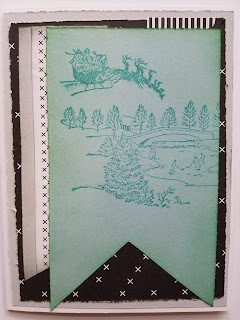 Now I of course have been working with vellum this week so that is what I reached for with this card. I ended up printing the image directly onto the vellum (who would have thought?!!) and it came out beautifully. Now to take it a step further I decided to make a shaker card. 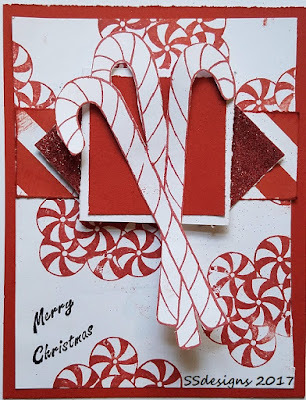 I am not too impressed with the overall outcome of the card, but I am still in love with the idea. Shakers can be tough because you have to balance the "shaker material" out...you don't want too much but you want enough to know that it's a shaker. 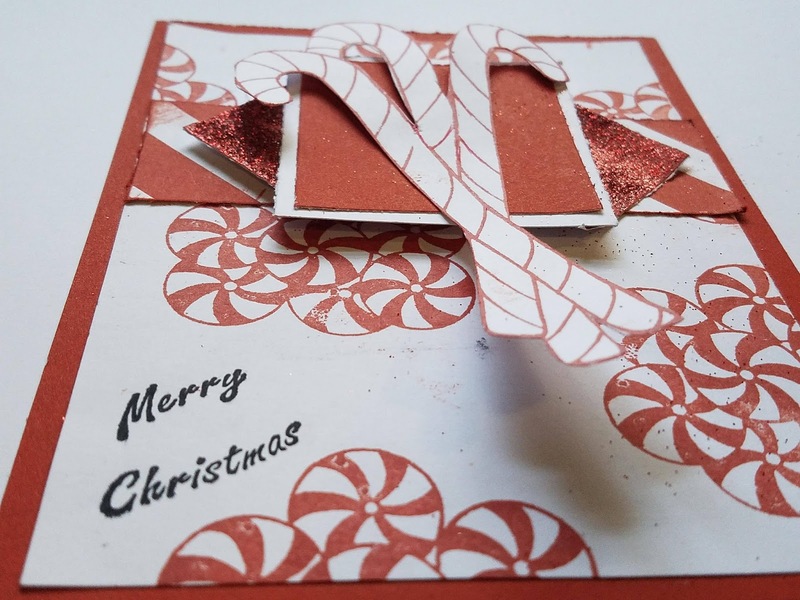 To create a shaker card I simply placed 3-D tape on the sides of the vellum paper then I added the sequins and glitter and then I added another piece of scrap paper - creating a little 1/2" area for all of the sequins to move around in. Let me know if you have never done one and I can create a tutorial for you. 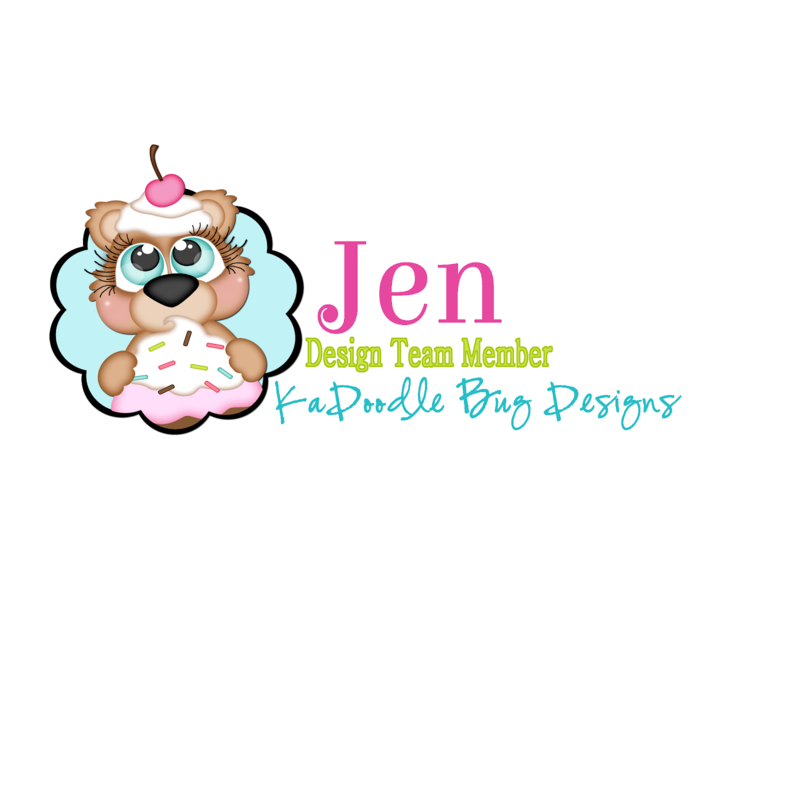 Make sure to head on over to Creative Knockouts and see what the other design team members came up with. 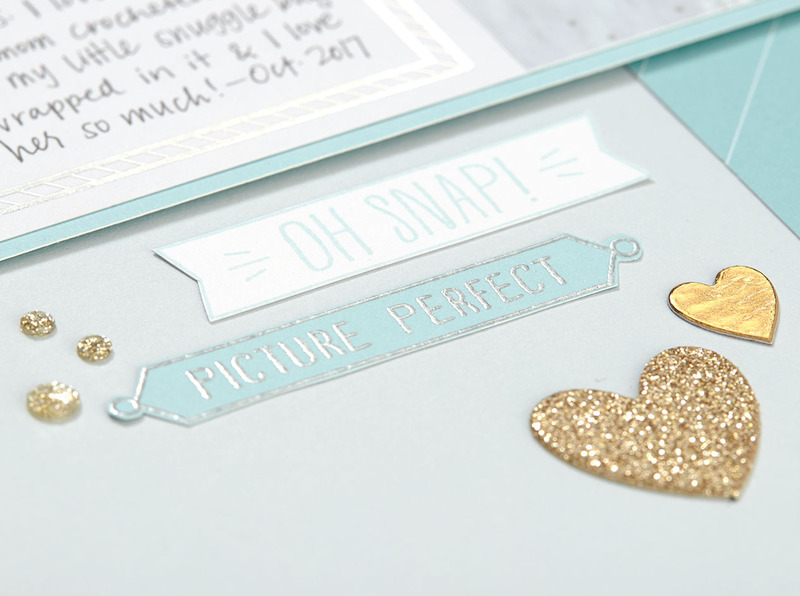 All Dressed Up is offering 2 images to one lucky winner so grab your supplies and get crafty. Another favorite is the My Acrylix Oh Snap! stamp set. 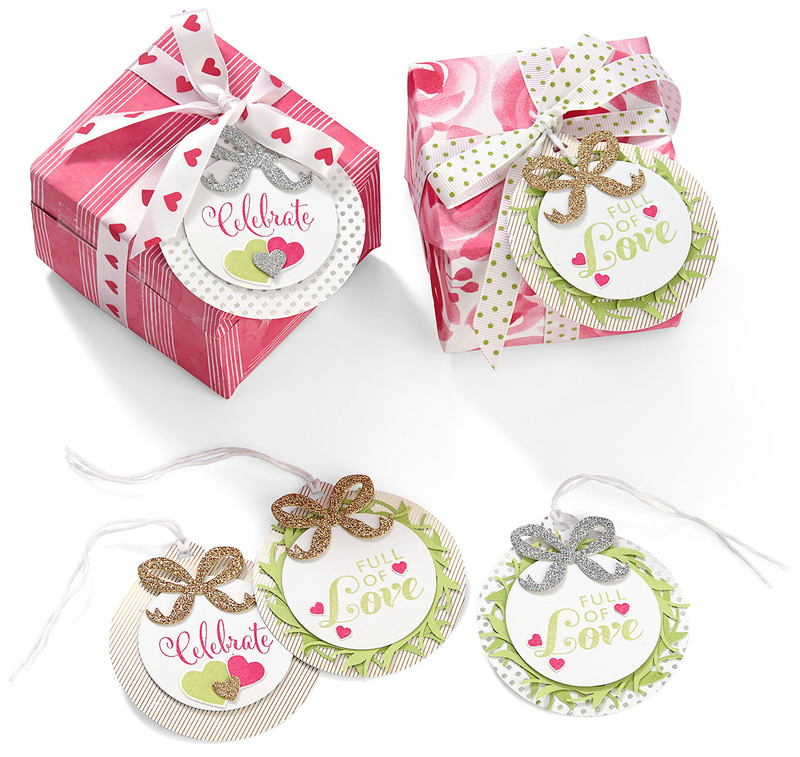 Find merriment in anything and everything with our Merry Everything Cut Above tag kit. 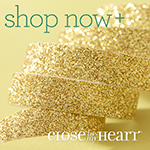 Have you used any of our holiday products in a non-holiday way? Share your creative ideas below! Well we have officially made it through the first full week of December! 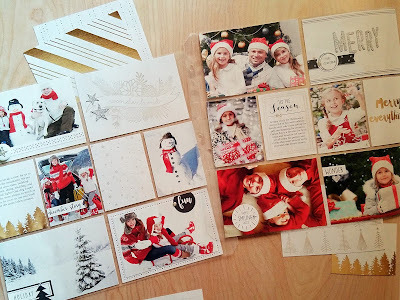 I have been so busy this week making holiday presents for everyone, even the mailman! !, that I haven't had much time to create for me. I know, I know this is a problem we all face in December, right?! Well, that's exactly what I want to talk about today. I want to make sure that you do not fall too far behind on preserving those special moments. 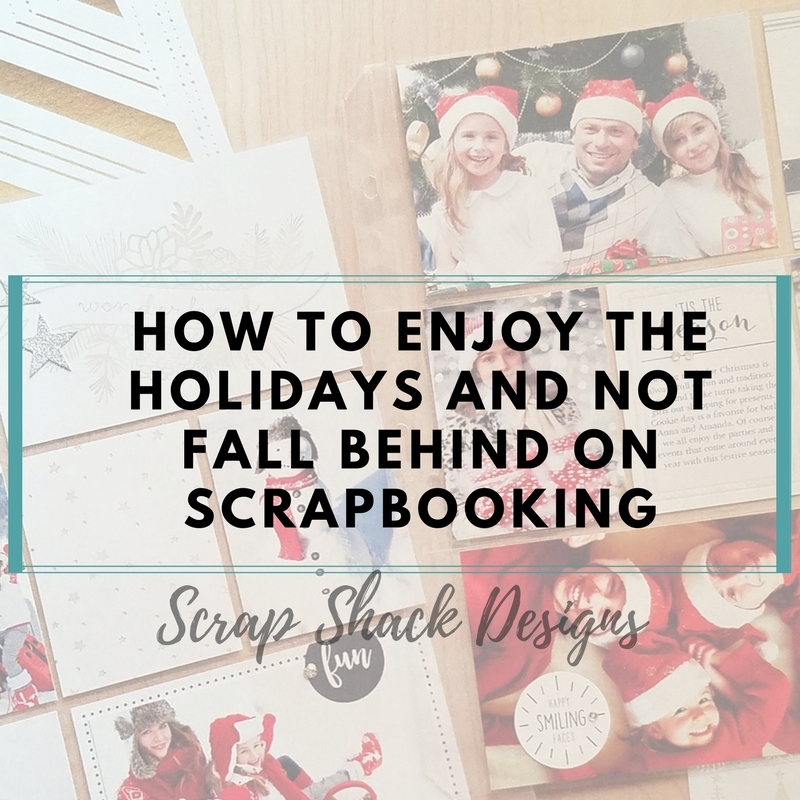 I mean the holidays only come once a year so I want you to be present while also documenting and preserving, and the best way to do that is to simplify the process. 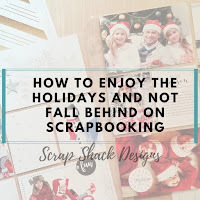 That's all great, but just how do you simplify scrapbooking? 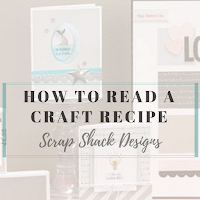 My answer to that would be to use a wonderful method called pocket scrapbooking. Have you hear of it? 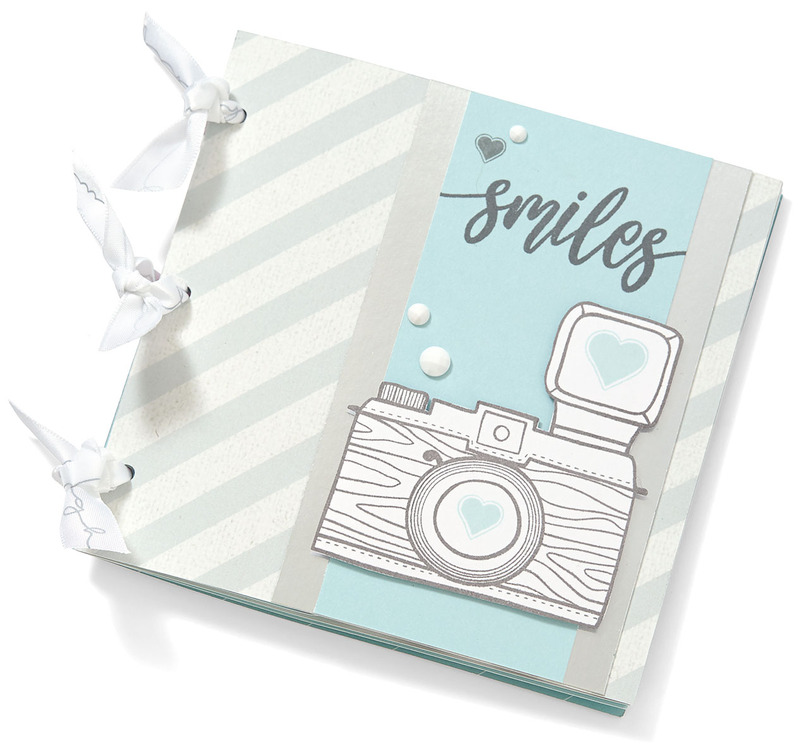 You see pocket scrapbooking is a simple and fast way to tell the stories behind your priceless photos. 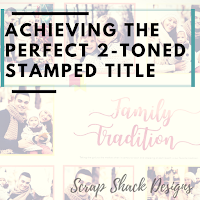 If you have used this method before then stay tuned for some wonderful inspiration, if you have not then take a look at just how simple and easy this method is. Ok so what's the deal here? Well, it's as simple as 1, 2, 3... done. 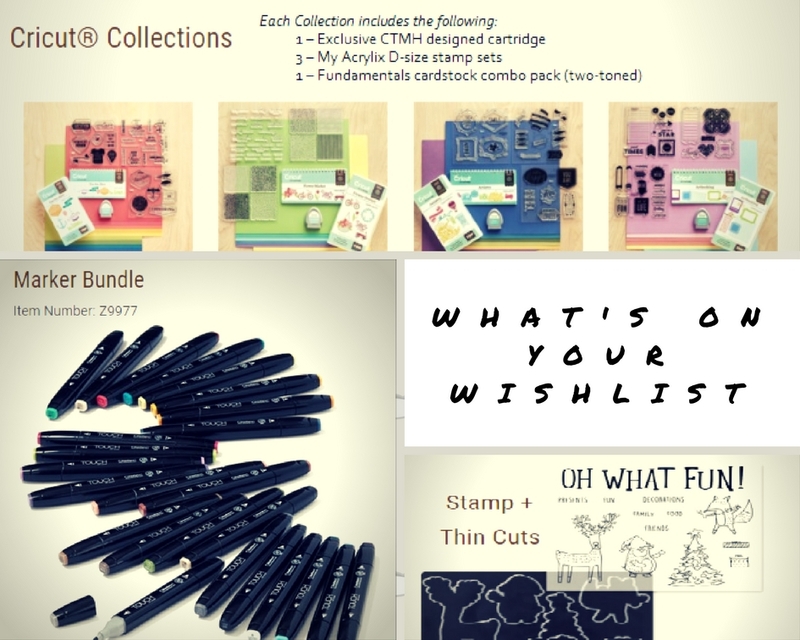 Step 1 is to choose your supplies. 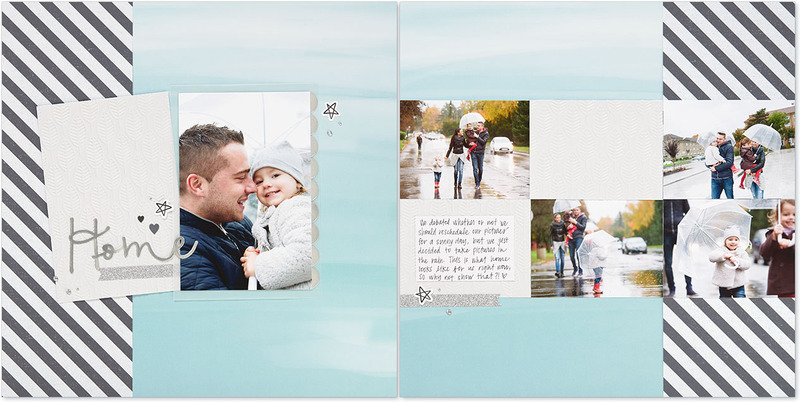 You will need an album, some page protectors, PML (CTMH's pocket cards) and of course photos. If you do not have any cards on hand you can shop our wonderful inventory located here. 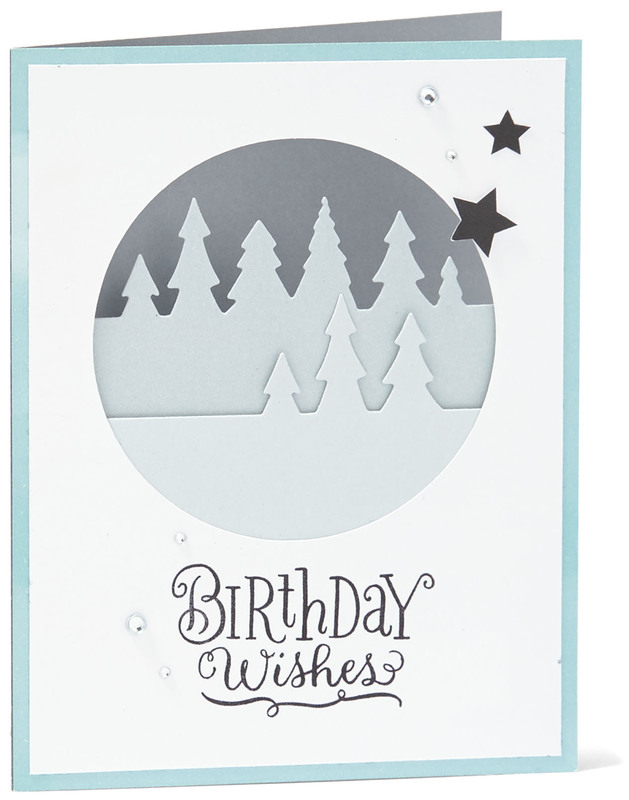 We have all of the supplies you need including some really great holiday cards to choose from. Then step 3 is to put your photos and your cards into your page protectors. That's it! It's that easy. 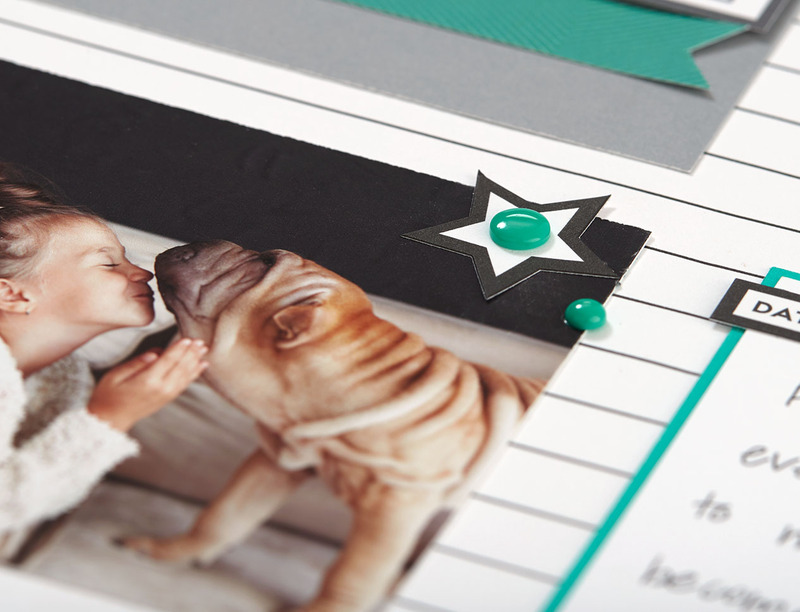 Of course once you get some more free time, or are confident in this method, you can add extra embellishments and stamps on your photos. 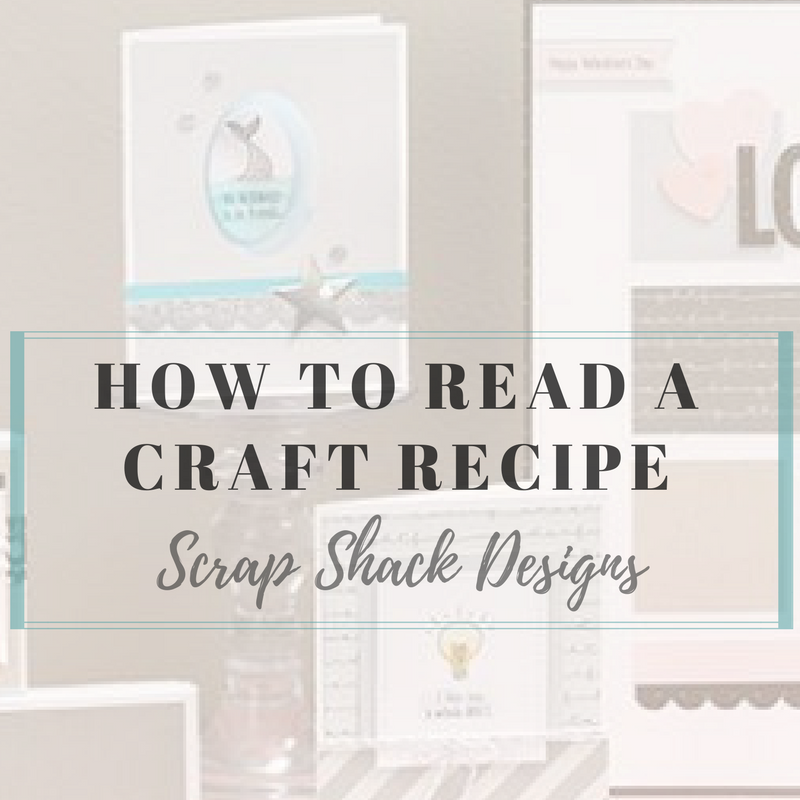 You can honestly get just as creative with these pages as you do with the traditional scrapbooking pages. Also because most of our PML kits coordinate with our paper lines you could even combine pocket pages with more traditional layouts for a wonderfully cohesive album. 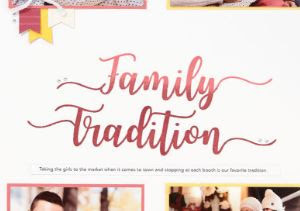 Get creative, have fun, and most importantly be present while still preserving those memories. I once heard that scrapbooking is good for you because your memories lie. Have you seen the artwork on page 68 in the Annual Idea Book? It's spectacular and I can't stop flipping back to it. 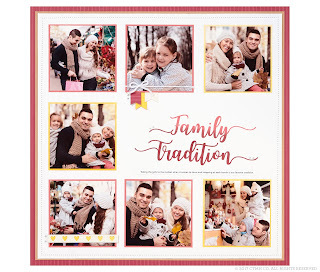 This page features a wonderful layout with tons of space for tons of photos! It also would be easy to recreate. I mean c'mon now let's talk about that embossed title centerpiece for just a minute! 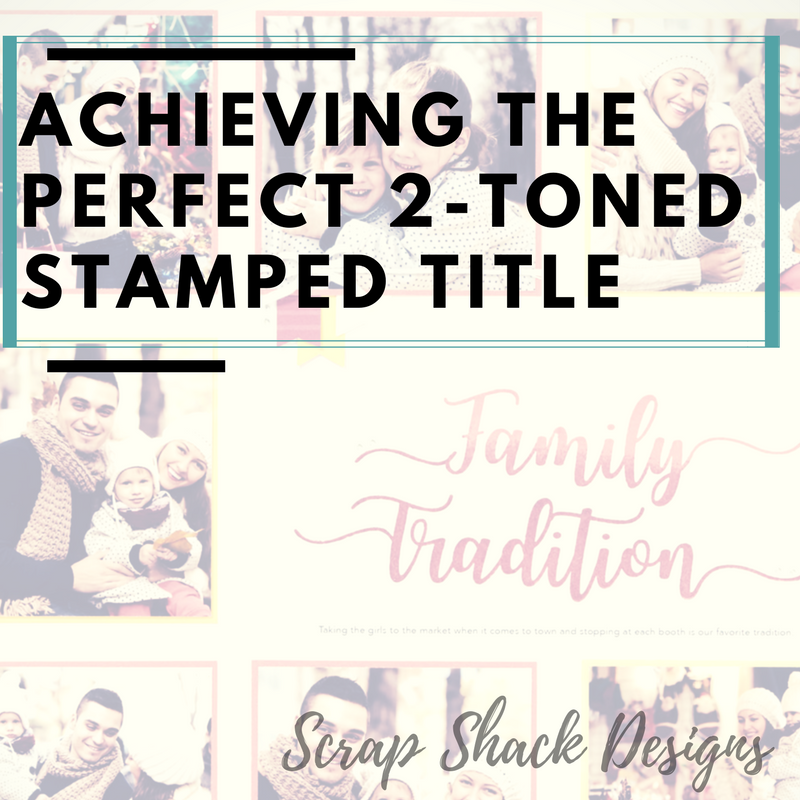 So my post today not only center's around how you can re-create that beautiful layout above, but of course how you can also recreate that beautiful embossed two-toned look. So let's talk about that first and get the hard stuff out of the way. 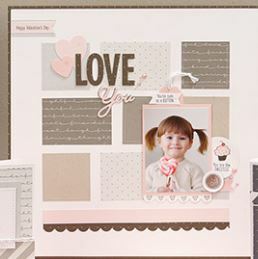 To achieve that two-toned look, in any project, you start by grabbing your favorite stamp. 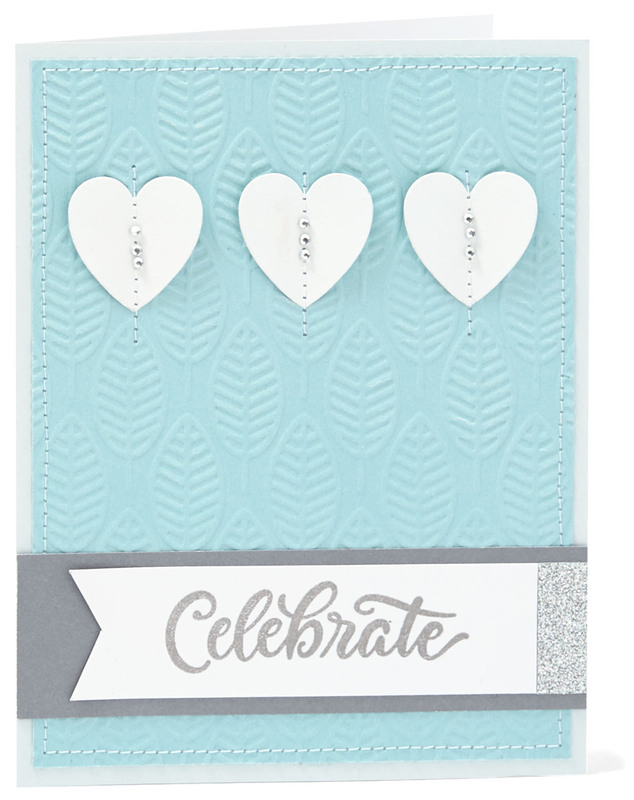 In this case the designer opted for our beautiful "What Matters Most" stamp set. Once they had the stamp picked out you must pick your favorite color of pigment ink. To achieve a two-toned artistic look make sure to dab one color of pigment ink onto the bottom of your stamp and another color onto the top. 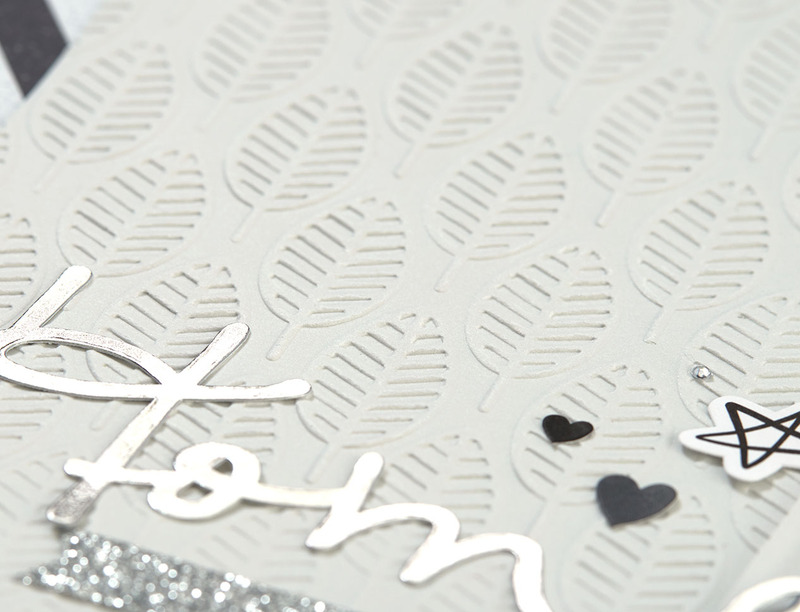 Once your image is stamped sprinkle a clear embossing powder over the ink and then set it with a craft heater. Happy December guys!! 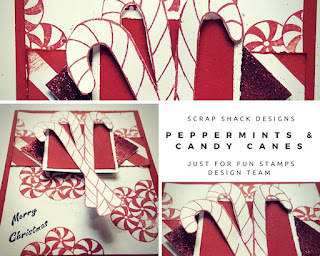 I am 100% into the holiday spirit now that December has arrived and today's project is a true reflection on that. For today's project I started off with a piece of Cranberry Cardstock measuring 4.25" x 5.5" then I matted a piece of white daisy (measuring 4" x 5.25") on top - I always mat in 1/4" increments. Now to create that background I took the Peppermint Candies stamp set from Just For Fun and inked it up with Cranberry Ink. I then "randomly" stamped the white daisy cardstock in a triangular pattern making sure to stamp off the page in some spots. Now the measurements for the banner are 4.25" x 1.5" and it is mounted about 1.5" from the top of the card. After I had the banner cut out I took some Red Glitter Paper and cut a square out measuring 1.25" and then I cut that in half on the diagonal to make two triangles. To top off the card I fussy cut out the candy canes and adhered them to the top. Some suggestions on how to personalize this card a little more include adding shimmer to the candy stamps, using second generation stamping (alone or together) in the background (just don't get too busy), or even switching up the color schemes or flipping the sketch to a horizontal landscape. As always get creative, play around, and create! Thanks for stopping by today.